In Europe, it will be released on 18 November 2016. The game will run on Nintendo 3DS. Produced by Junichi Masuda, this Pokemon series game would get the updates after some time of its release. It will have a lot of features. Some reports claimed that the game would have the ambulance, pickup truck, fire engines, and many other vehicles which will be ridden by the Pokemon itself. This game will be the first in the series to be available in both Traditional and Simplified Chinese. Also, it will support following languages English, French, Korean, Spanish, German, and Japanese. A new move, namely Z-move was announced as a powerful tool that was used only a single time in a battle. The characters which will be supportable in this game are- Ninetales, Raichu, Rattata, Raticate, Sandshrew, Meowth, Vulpix and much more. The legendary Sogaleo and Lunala have been added to this game of the Pokemon series. These characters can change their appearance, style, and abilities. This is said to be the feature of this game. Poke Ride will also be the new feature of this Pokemon Sun and Moon game. This game would be compatible with Pokemon Bank. Pokemon Bank is an online storage system for Pokemon during the previous generations of the Pokemon games. The Pokemon caught in Virtual Console, X, Y, Omega Ruby and Alpha Sapphire are transferable using the Pokemon Bank. This game is set on the tropical islands of Alola regions (AlolanExeggutor, AlolanRaticate, AlolanVulpix, AlolanSandslash, AlolanRattata and AlolanSandshrew). In the game, flowers are used to heal and defend the Comfey. A very high stamina is given to Mudbray. And various special powers are given to various Pokemons. 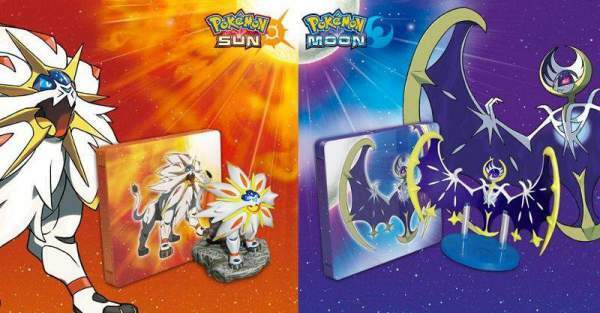 The Pokemon Sun and Moon themed Nintendo’s 3DS XL will be launching on 28th October for $199.99 in North America. The dual pack is also going to be launched for the players in which the game and two codes that are set to unlock 10 Poke balls each. This Dual is said to be priced at $80. This is incorrect, Pokemon Sun and Moon won’t release until November 18th Worldwide, and then Europe will get a game release 23rd….end of story. eAe?